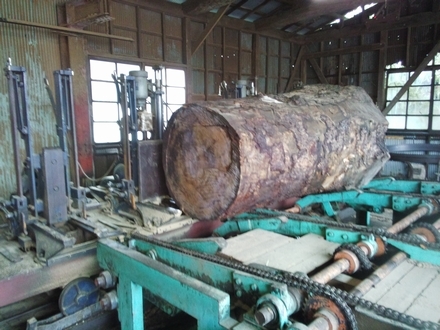 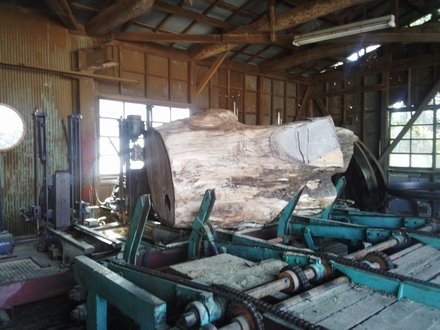 A beautiful Camphor piece(2300cm×700〜800cm×60cm) was added to the stock of our store. 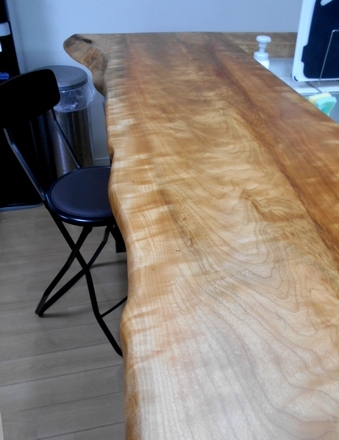 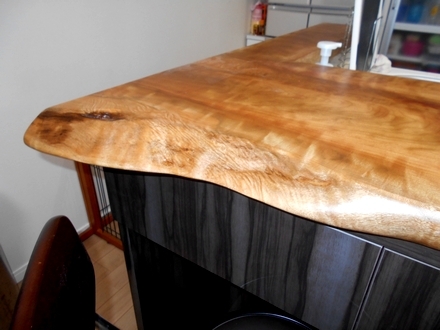 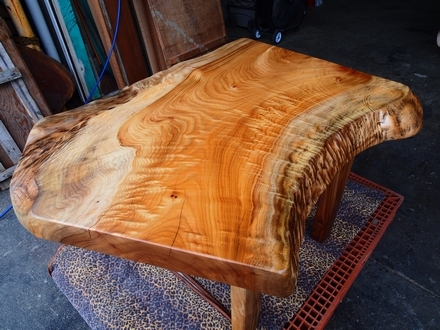 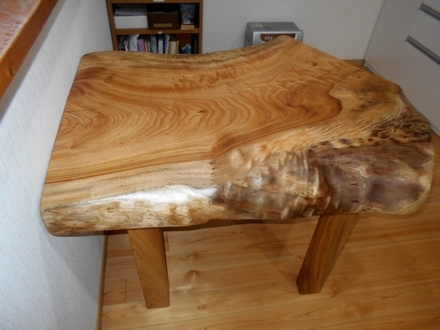 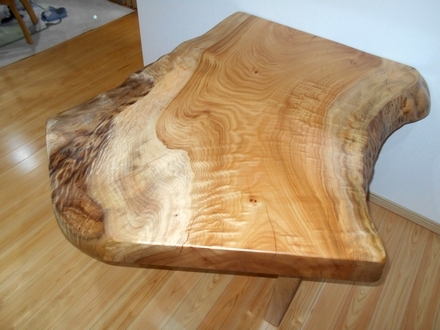 It has a slight curve, showing off the natural outline of the tree! 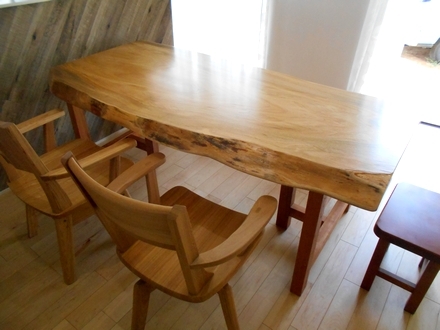 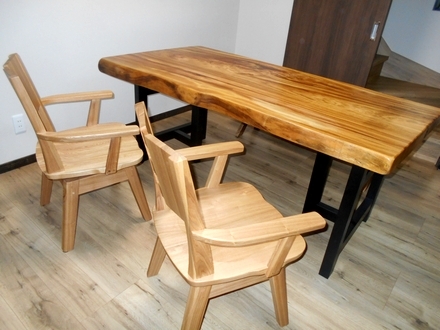 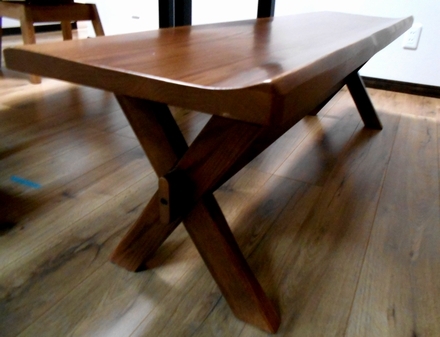 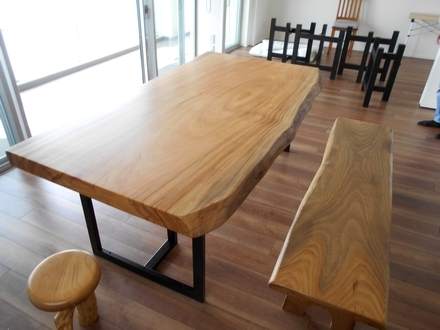 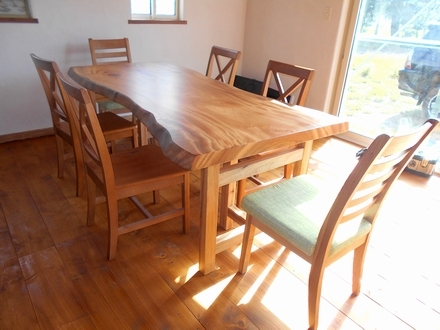 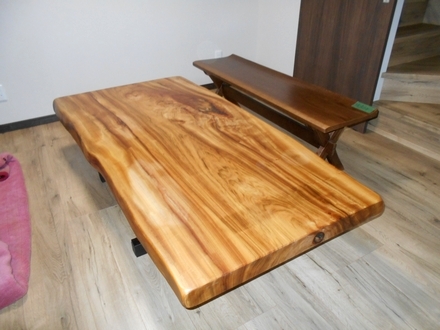 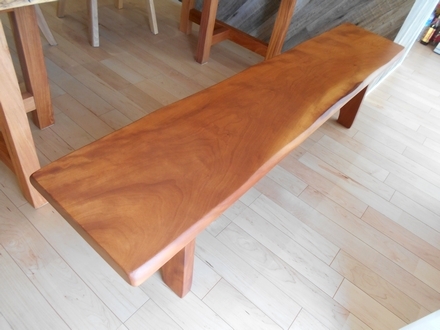 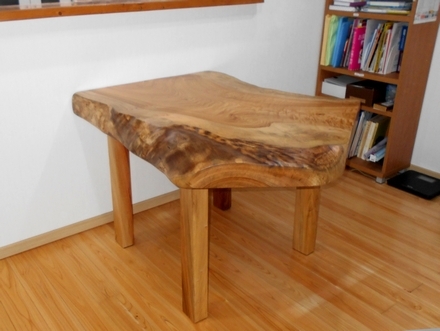 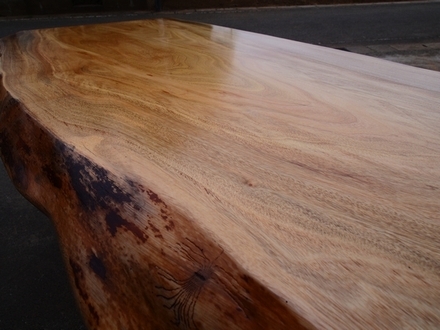 We made a delivery of a Camphor table and bench set to a customer's condominium. 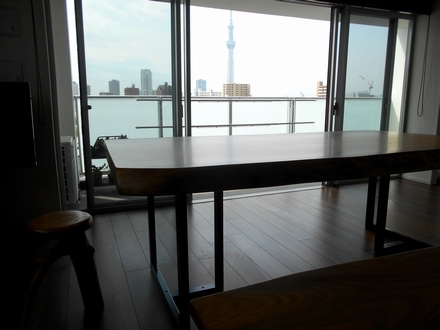 It was on the top floor of a building with a wonderful view of the Tokyo Sky Tree. 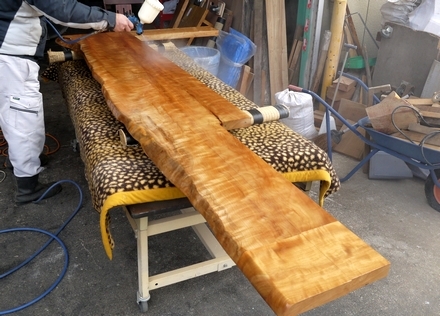 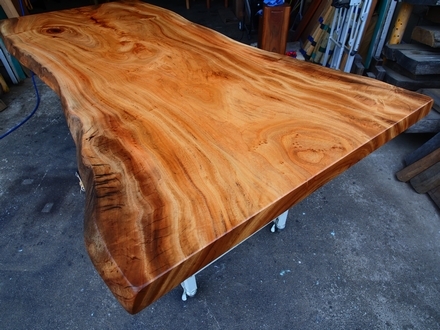 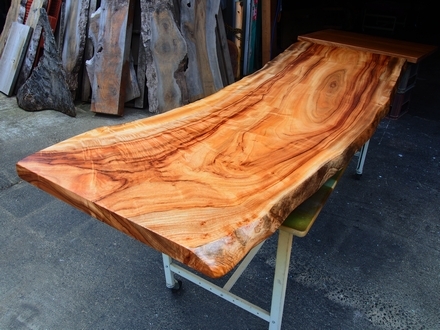 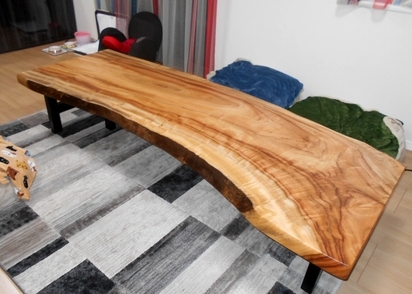 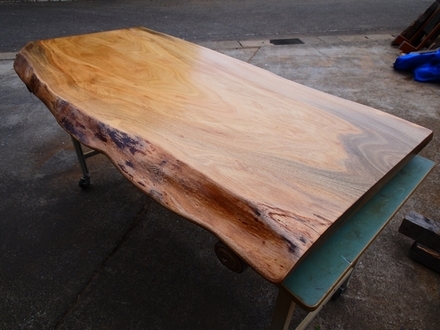 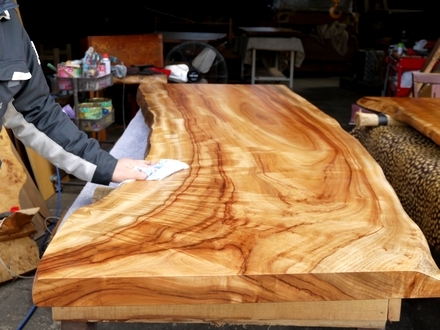 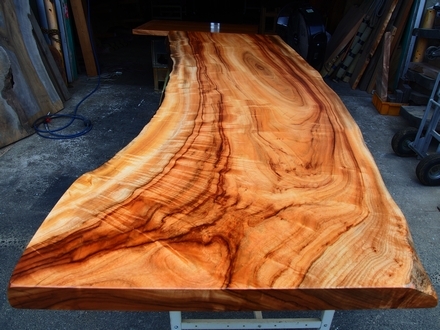 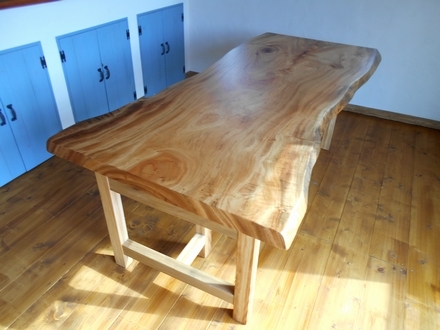 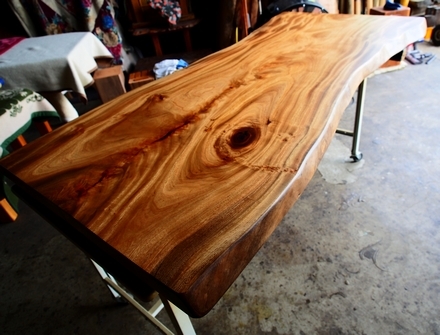 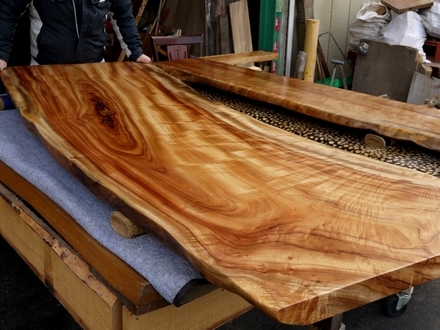 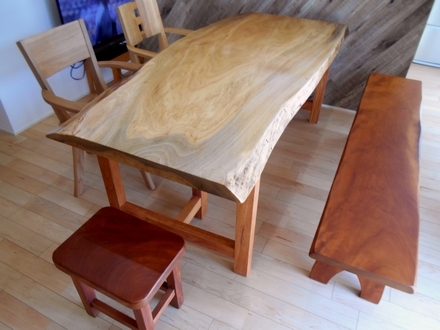 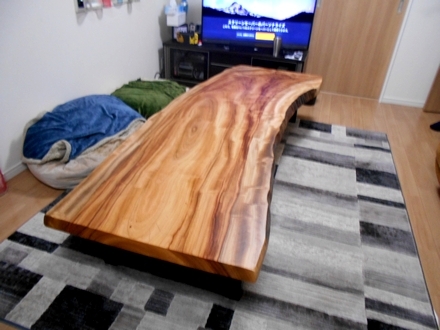 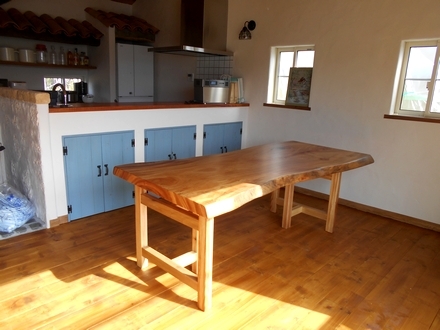 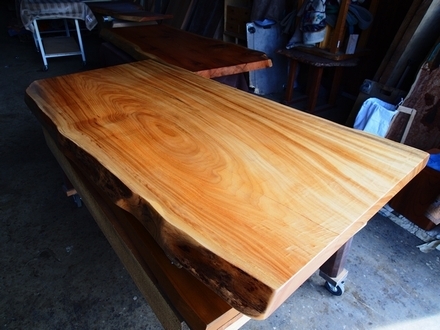 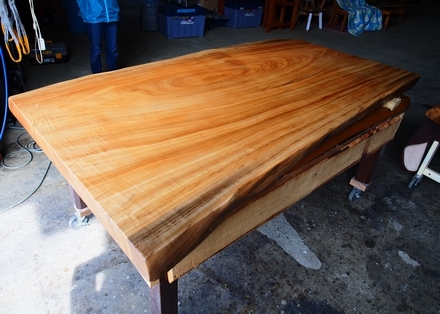 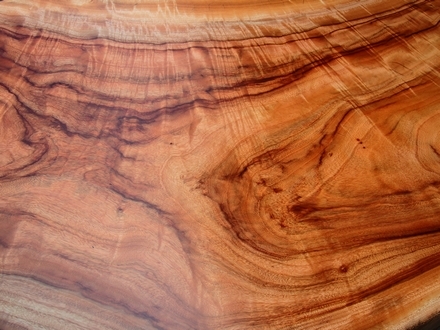 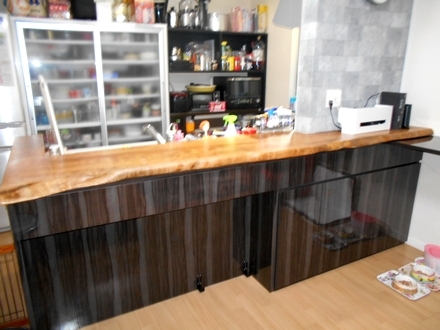 The table top size is about 1m×2m×9�. 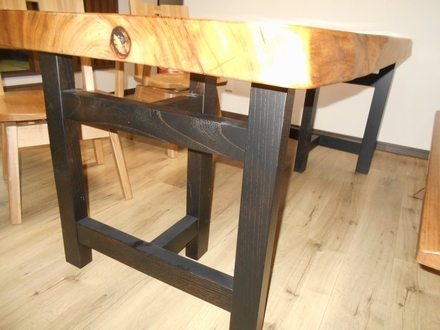 The customer chose iron legs for it, and the table set has an urban style to it. 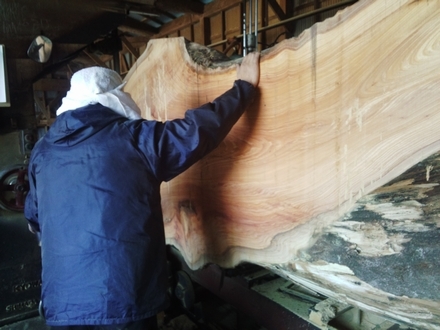 We have put special paint in the center and on the knot part of wood slabs because that's where it tends to crack while it air dries. 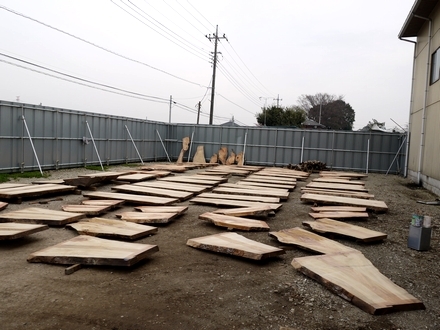 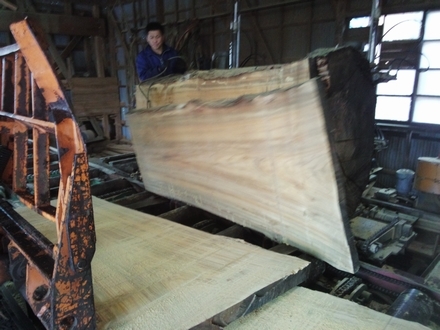 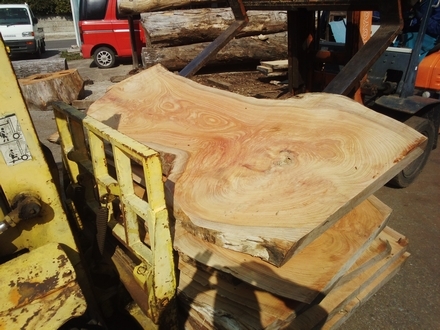 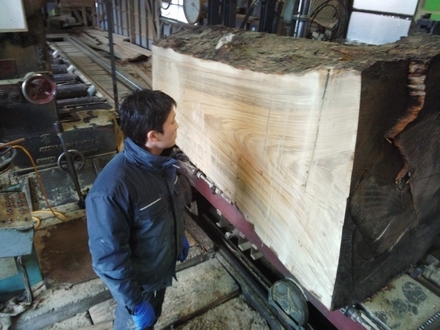 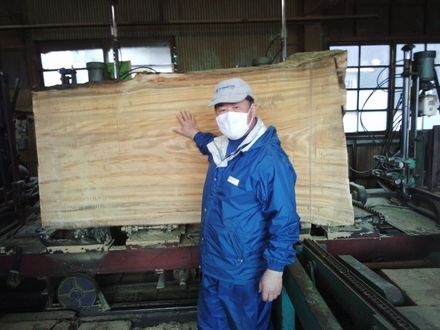 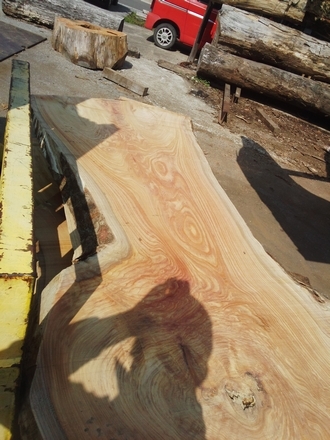 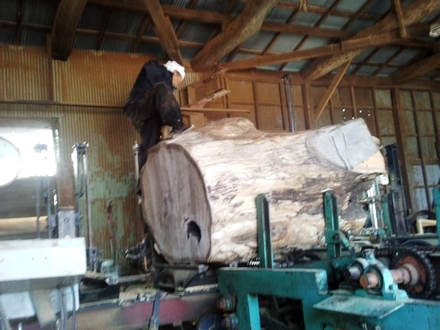 After this process, we will dry them up for more than 3 years, so that it can age and develop.